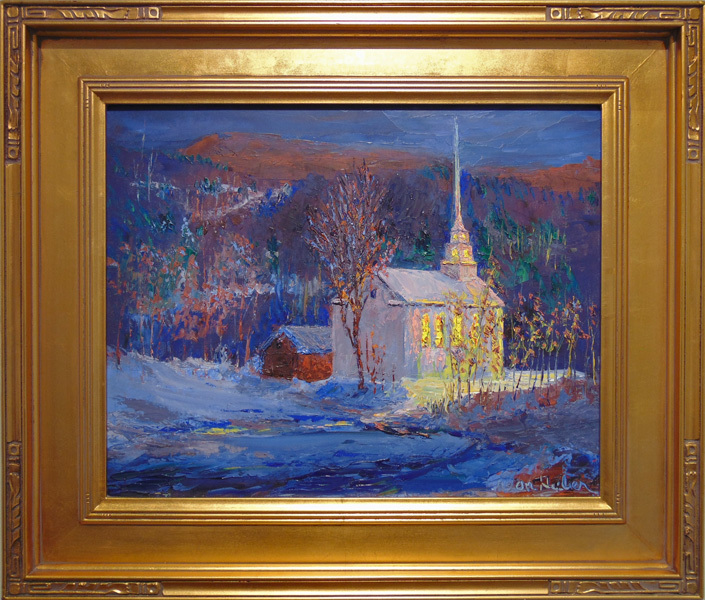 Don studied under Joseph Occhipinti at the National Art League in New York using a palette developed at the Art Students League. 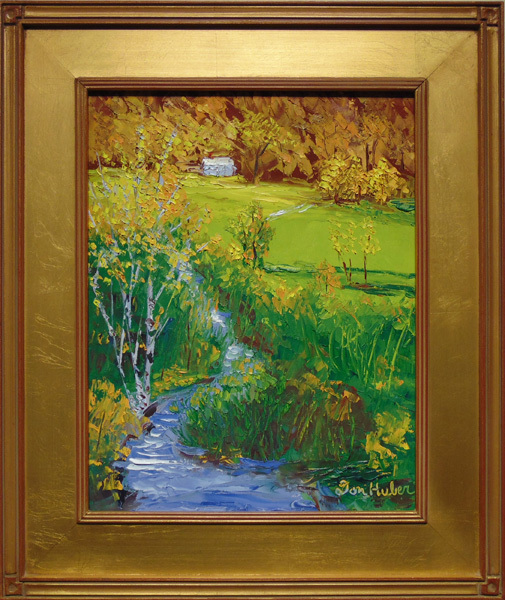 Don has painted plein air landscapes with the renowned artist Kevin MacPherson in the area around Angles sur l’Anglin, France, designated by the French government as one of the most beautiful villages in the Loire Valley. 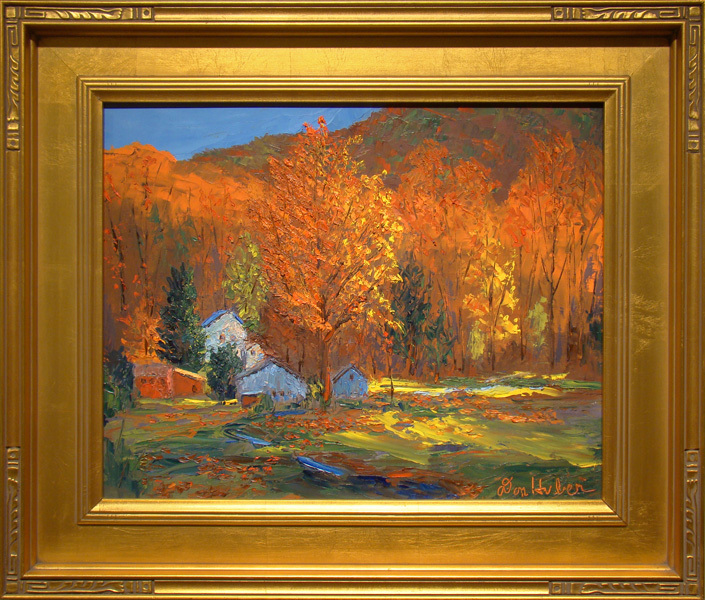 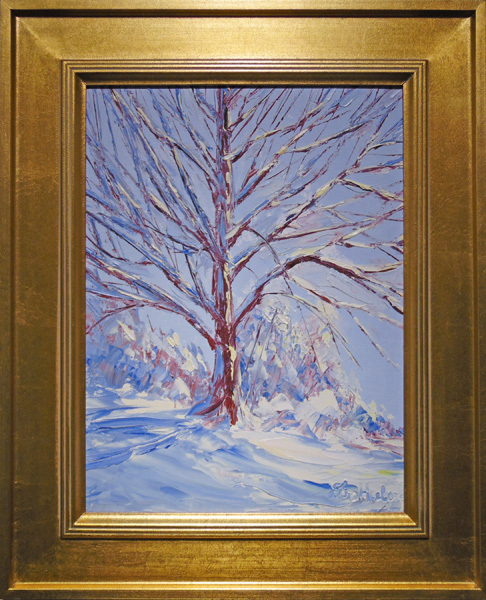 He has exhibited at many art groups in New York including the American Artists Professional League, the Salmagundi Club, the Hudson Valley Art Association, and the National Art League. 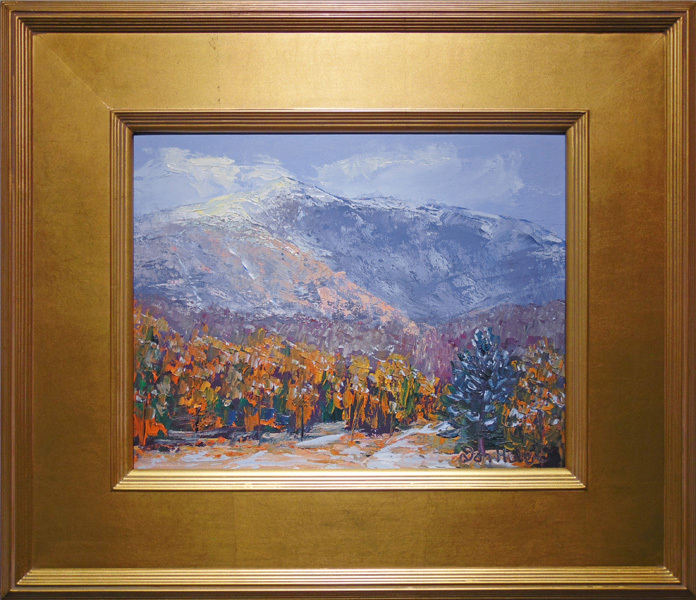 In Vermont he has exhibited at the Southern Vermont Art Center in Manchester. 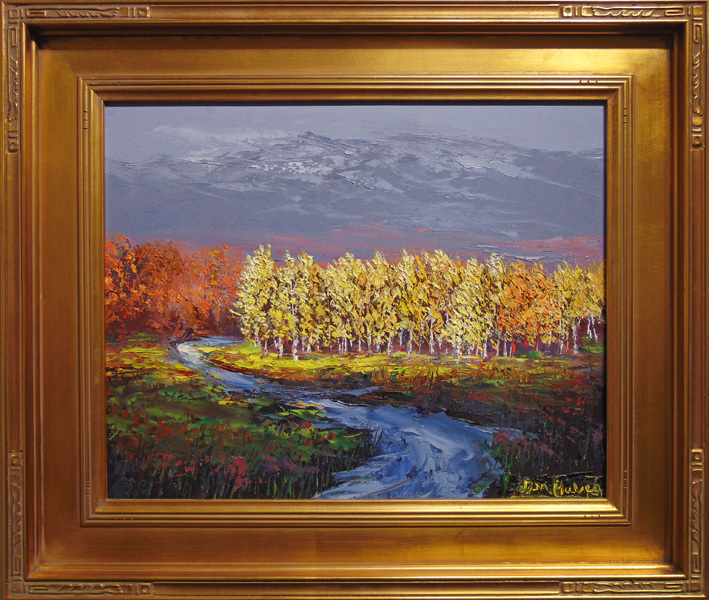 He has won the top award of “Best Atmosphere” oil painting at the American Artists Professional League Grand National Open Exhibition in New York City and numerous other awards. 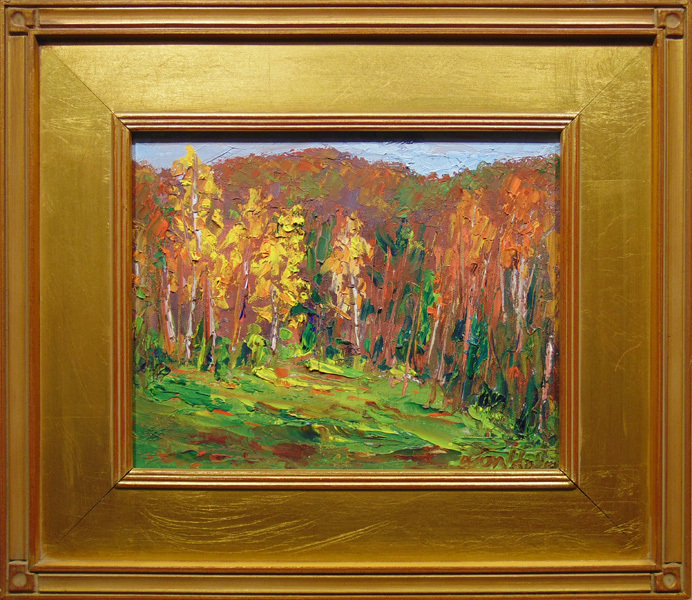 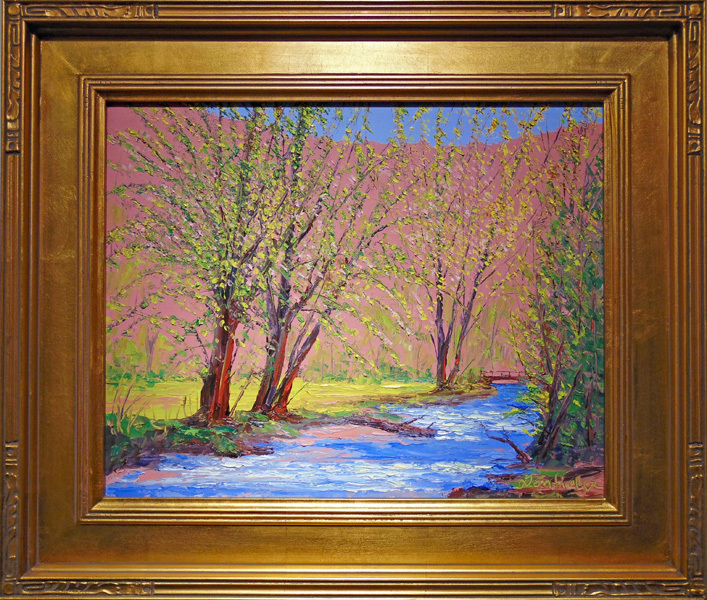 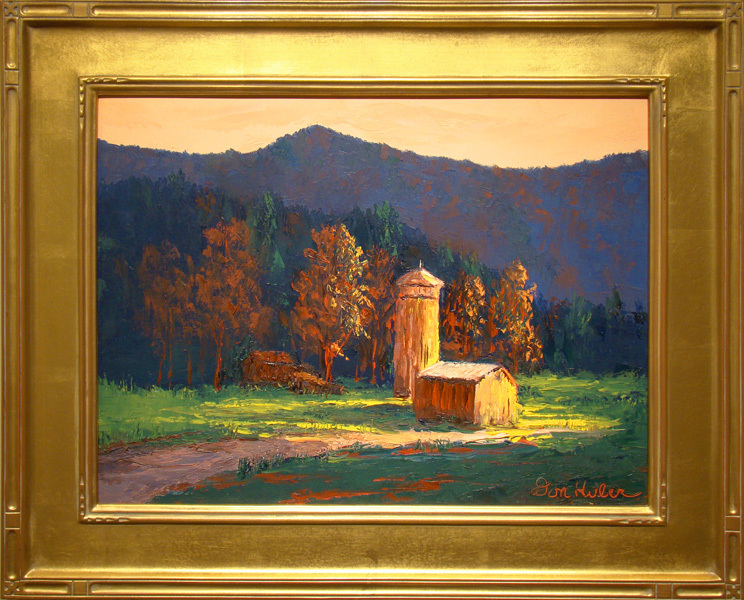 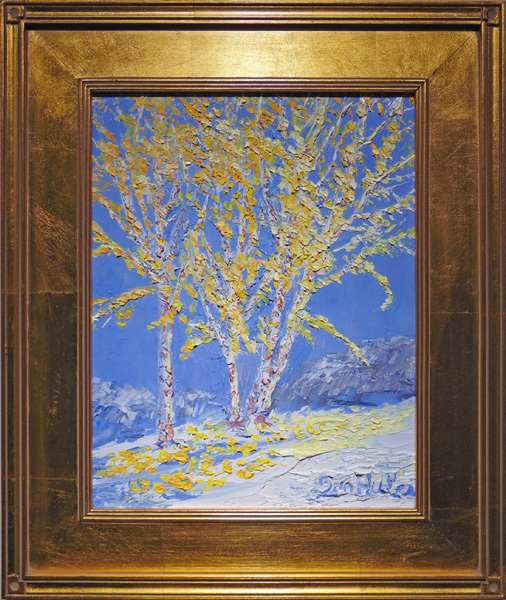 In his art Don captures the progression of light in outdoor scenes and structures during different seasons and in different atmospheric conditions. 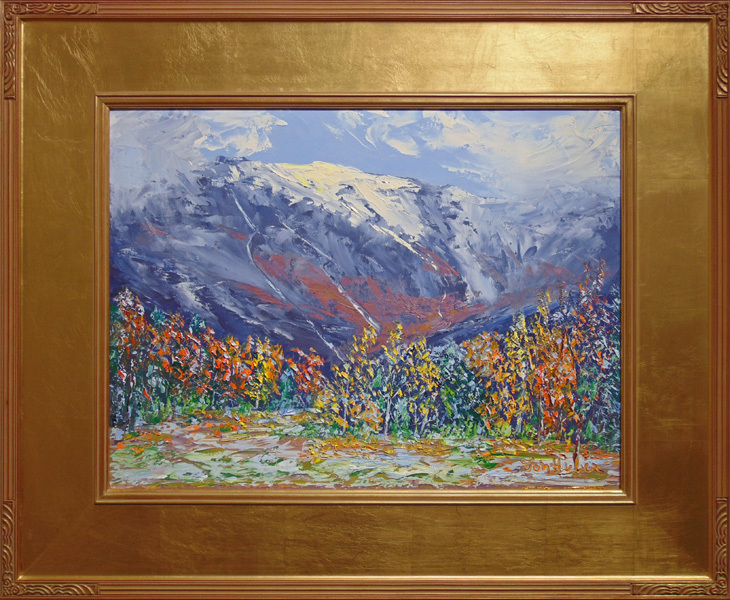 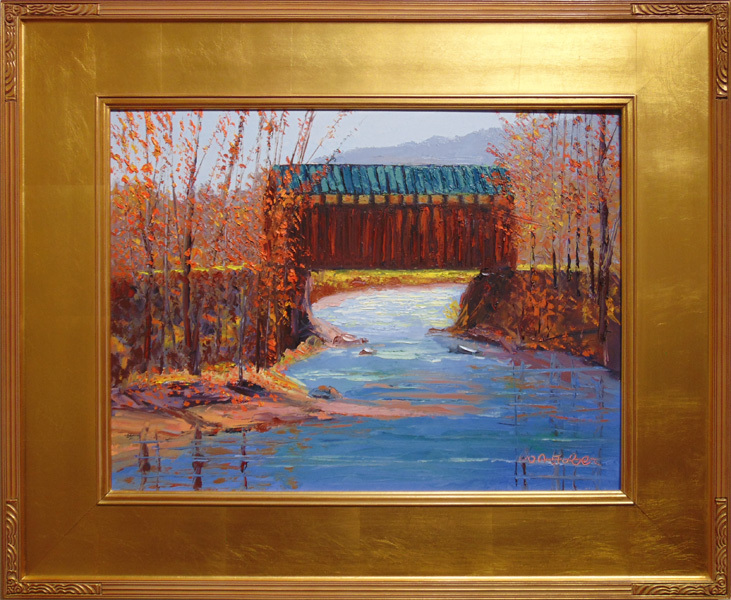 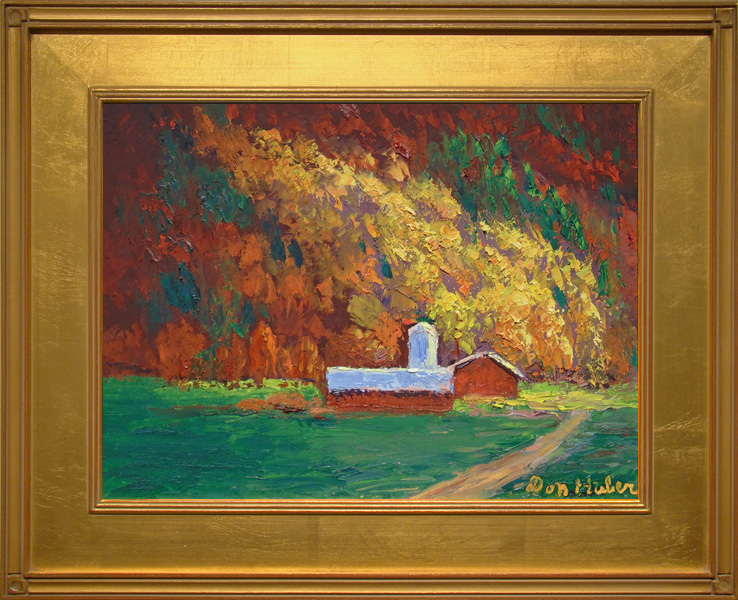 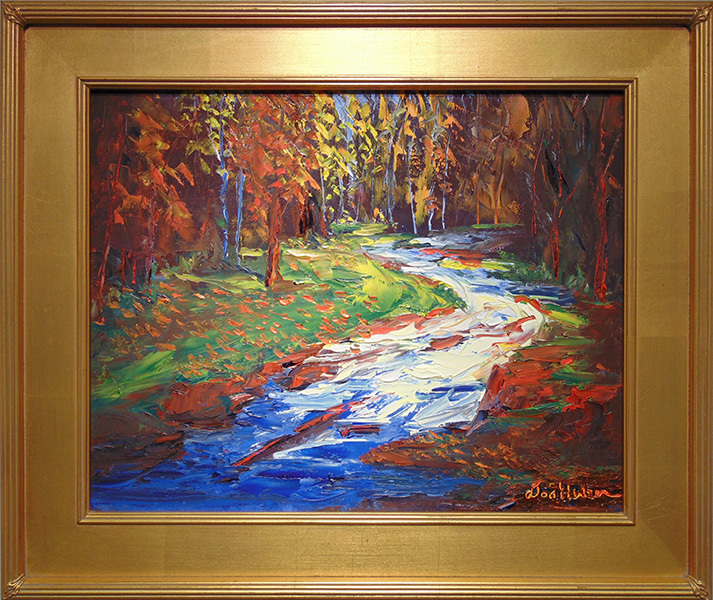 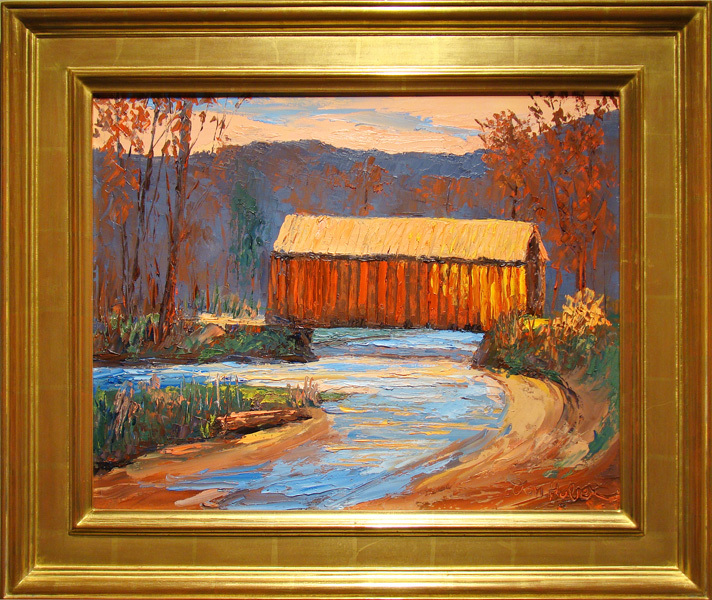 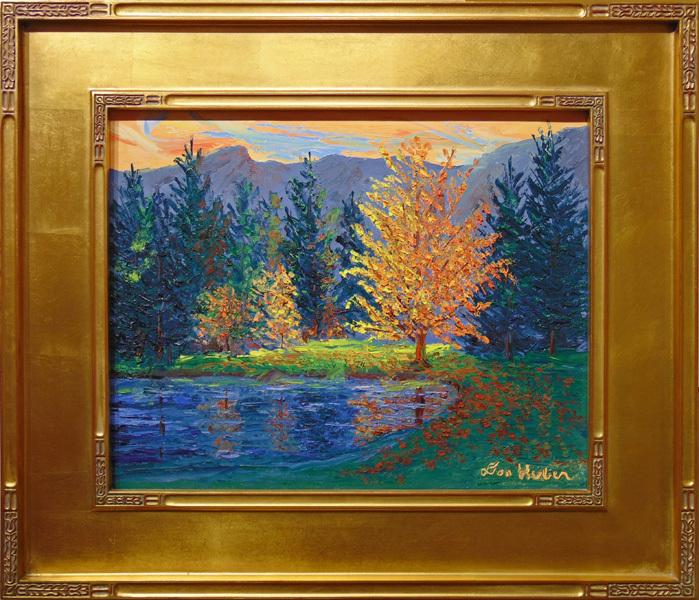 This is accomplished in an impressionistic style that gives the viewer a feeling of joy in the beauty of outdoor scenes. 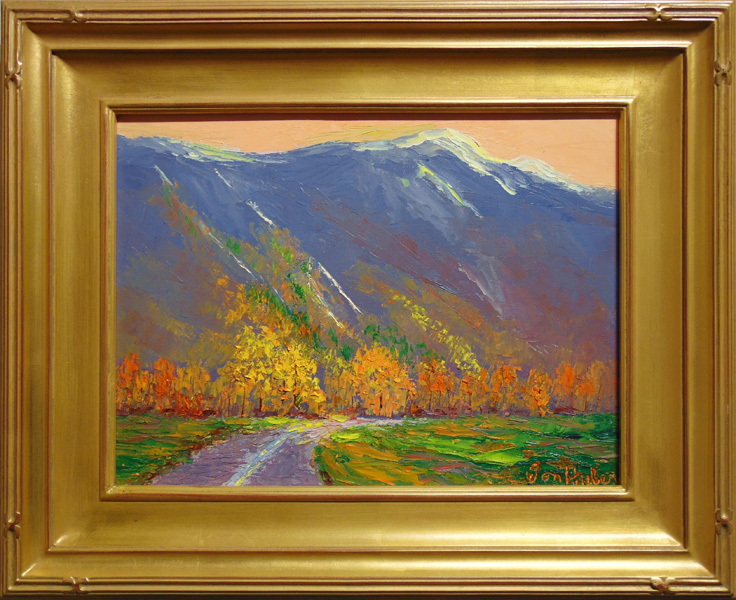 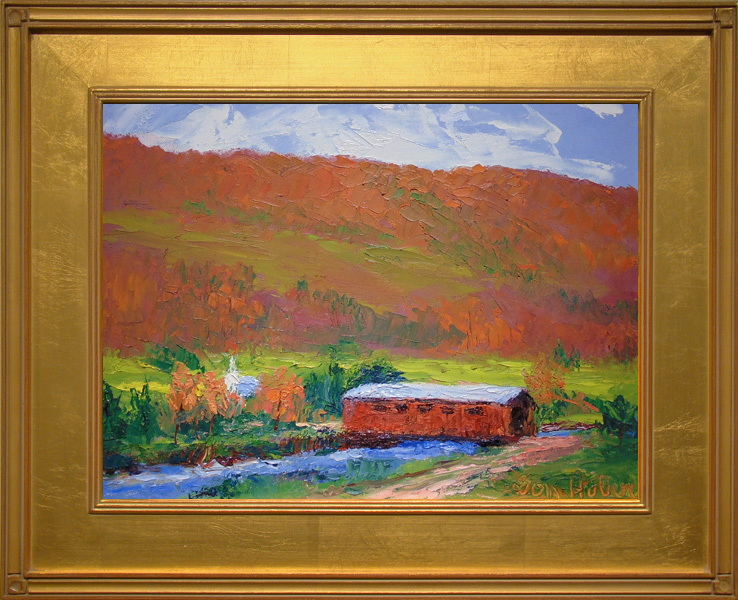 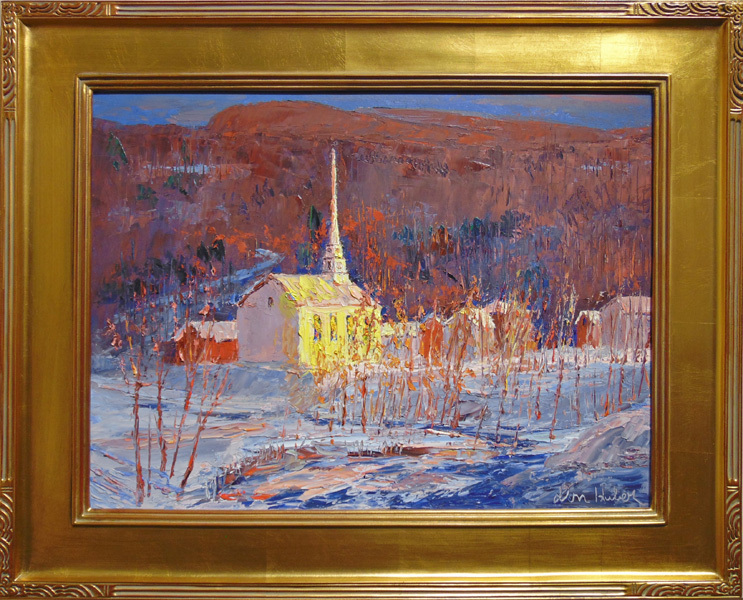 After 20 years of painting Vermont Don Huber has developed a love and understanding of the area that is immediately felt in his expressive and painterly works. 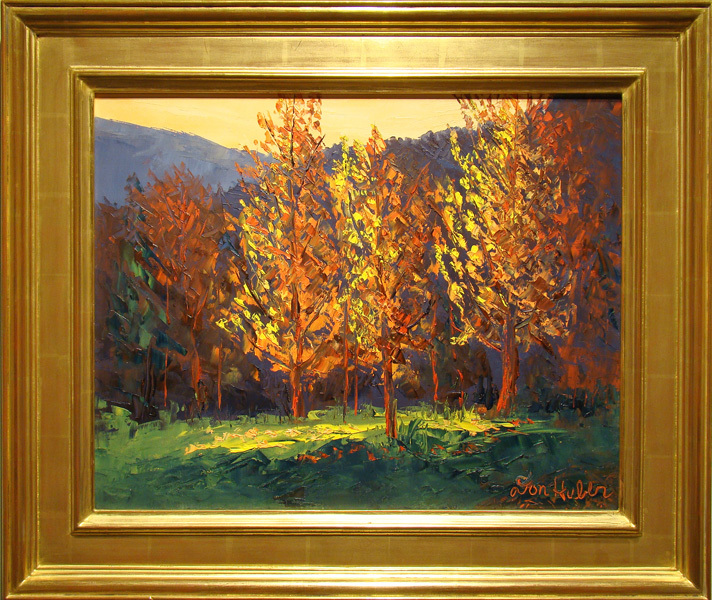 Robert Paul Galleries is proud to show the works of American artist Don Huber.